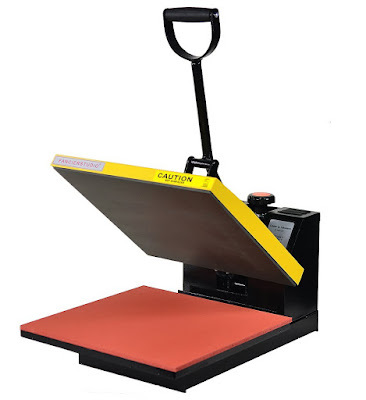 Several months ago you may remember I did a poll asking Silhouette School readers if they'd be interested in a larger cutter. 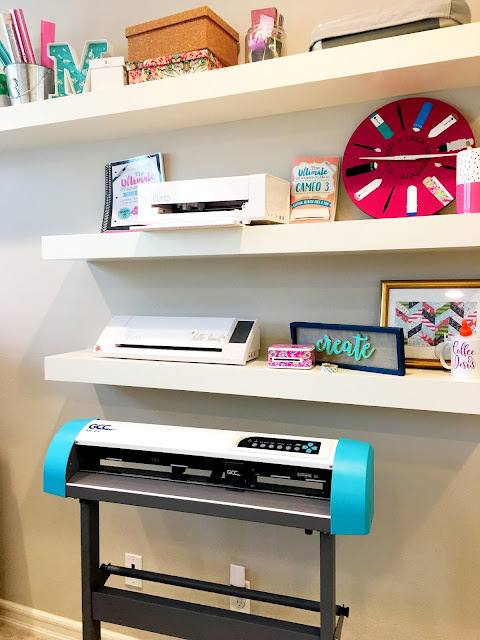 The more than 10k responses were overwhelmingly in favor of a larger cutter that is both affordable and has the ability to run on Silhouette Studio. No news yet on if Silhouette America will finally make a larger Silhouette CAMEO - although I am hopeful we've made headway! If they do, it very likely won't be announced until May 2019 at the next Silhouette Summit and then released several months after that. 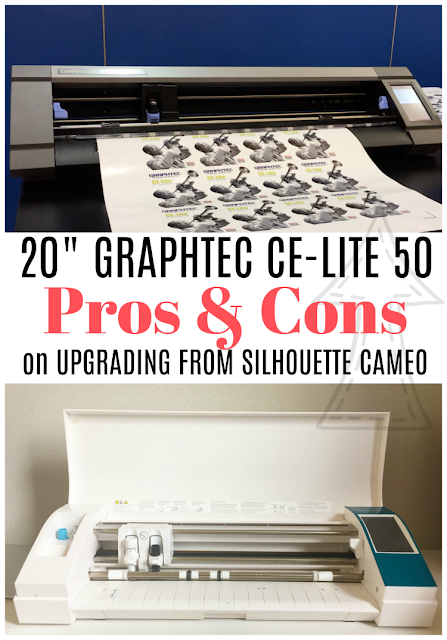 That would be about three years after Silhouette released their most recent new cutting machine, the CAMEO 3 in 2016 (unless you count the Portrait 2). That's a long time to wait to upgrade for Silhouette users - especially those who run a Silhouette business - who've outgrown their Silhouette CAMEO 3s. 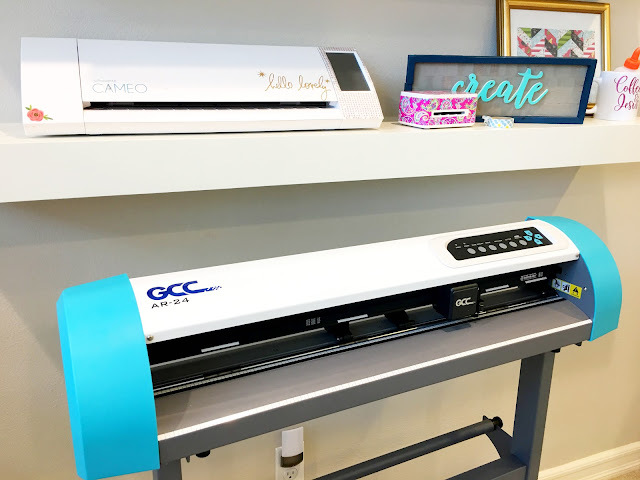 When the 20" Graphtec CE-Lite was released earlier this year - I was hopeful it would be a logical option for Silhouette users who need a bigger cutter. Unfortunately, for various reasons including the $899 basic price tag being too much of a jump and the software not supported on MACs, I can't get behind the 20" Graphtec. 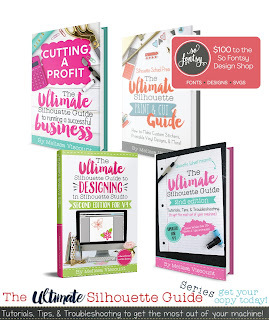 But you guys I've been looking...because I know a wider cutter is what many of you need to grow your businesses...NOW. 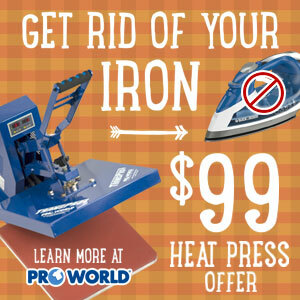 A bigger machine would help with faster production, less wasted material (no more cutting down 15" and 20" rolls), and lets you expand your offerings (ie bigger signs). 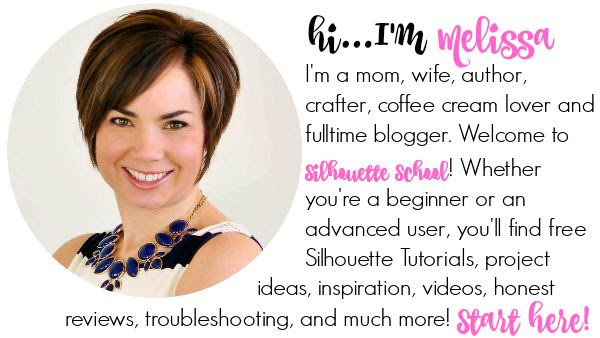 But I know it's super important to many of you that be able to design and work in Silhouette Studio so you don't need to take time away from your business to learn a new software. I finally landed on the 24" GCC AR-24. It's a bigger vinyl cutter I can get behind. It's not perfect for Silhouette users, but I think it's such a good enough solution that I shelled out the $430 (plus $50 for the optional stand) myself for it. 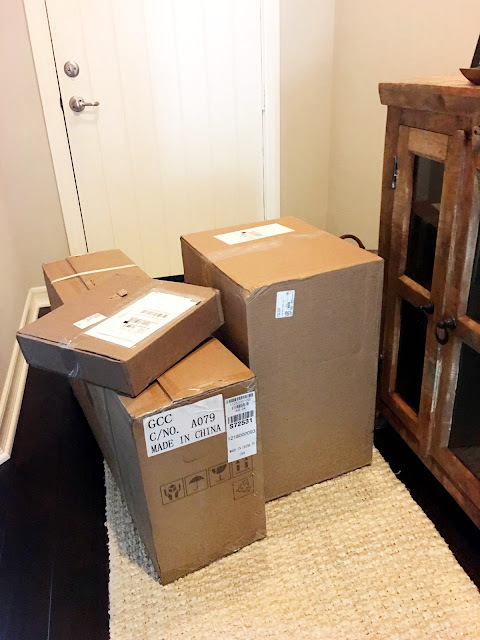 I ordered a GCC vinyl and stand bundle from Swing Design. 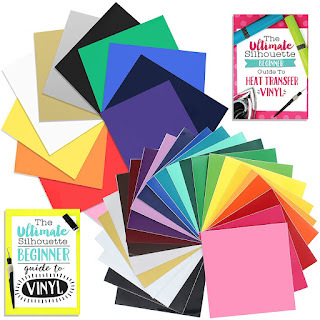 They do have several GCC AR-24 bundles to pick from including both with and without the stand and 24” vinyl sheets to start. The price is definitely more in line with what Silhouette CAMEO users looking to upgrade would be comfortable with (according to the survey results). 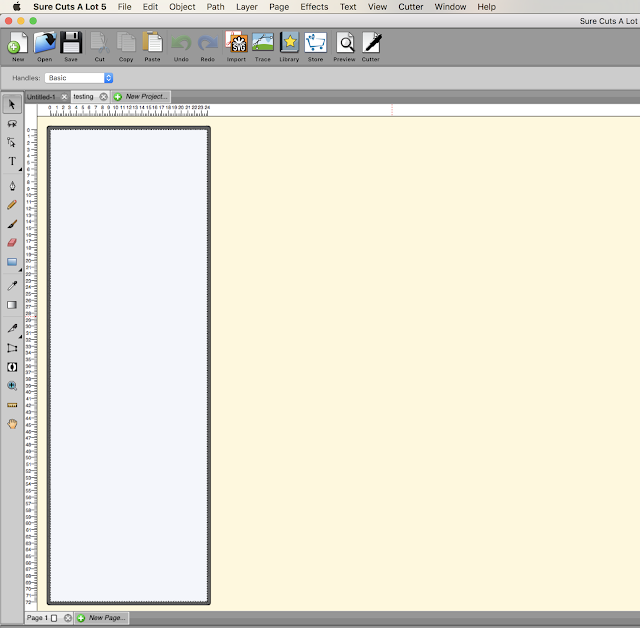 And - you can do all of your designing in Silhouette Studio and then export as an SVG with Silhouette Business Edition. 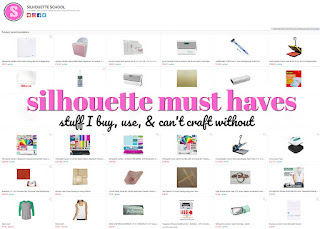 That being said - you should be aware of a few things because it's about 80% perfect - not the 100% solution we're hoping to eventually get from Silhouette America. The free software that comes with the GCC is called GreatCut. On Windows, it works as a plug in with various software programs including Inkscape (which is free), Adobe Illustrator, and Corel Draw. GreatCut allows you to import SVG files which means you can take advantage of all the personal and commercial use SVGs you already own. 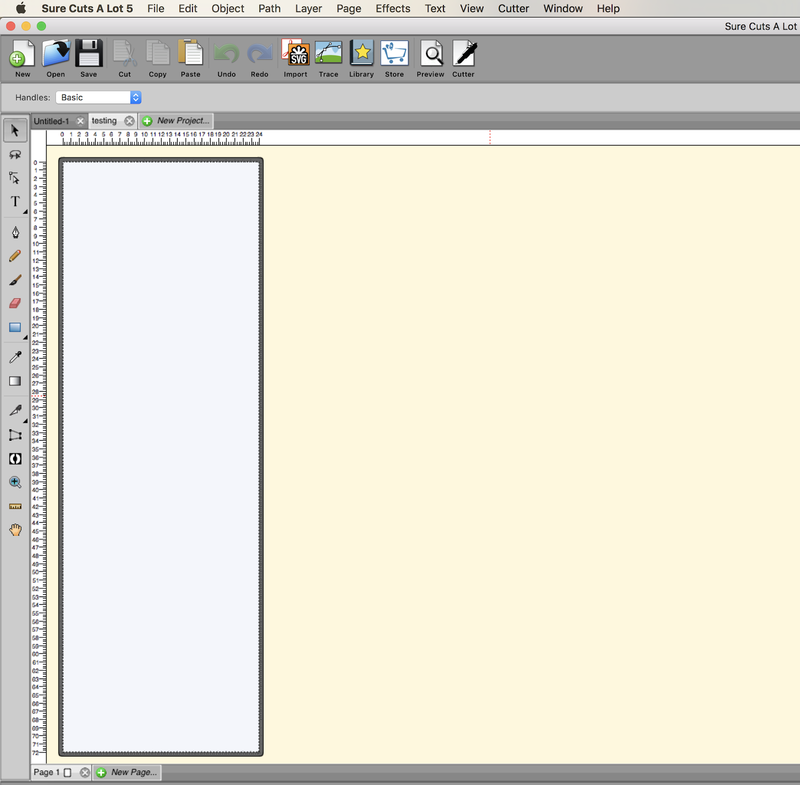 It also means you can do all your designing in Silhouette Studio and with Business Edition export as an SVG. Simply open the SVG in the GCC software and only use that program to send to cut. This solution works - out of the box - for Windows/PC users. Unfortunately, MAC users, like myself, need to find another solution because the GCC software, like most vinyl cutter design programs, isn't supported on MAC (without Adobe Illustrator). So...for MAC users the solution is to make the one time $59.99 purchase of the basic Sure Cuts a Lot (SCAL). This software can import SVGs as well and again with the ability to export as an SVG from Silhouette Studio Business Edition you can do everything but send to cut to the GCC from Silhouette Studio. Keep in mind you are limited to cutting 24" x 72" with this version. If you'd like to cut longer than 6' you'll need SCAL Pro which is $199 and at that point I think you lose A LOT of the appeal of the 24" GCC as a step up from the Silhouette CAMEO simply based on the all-in price. 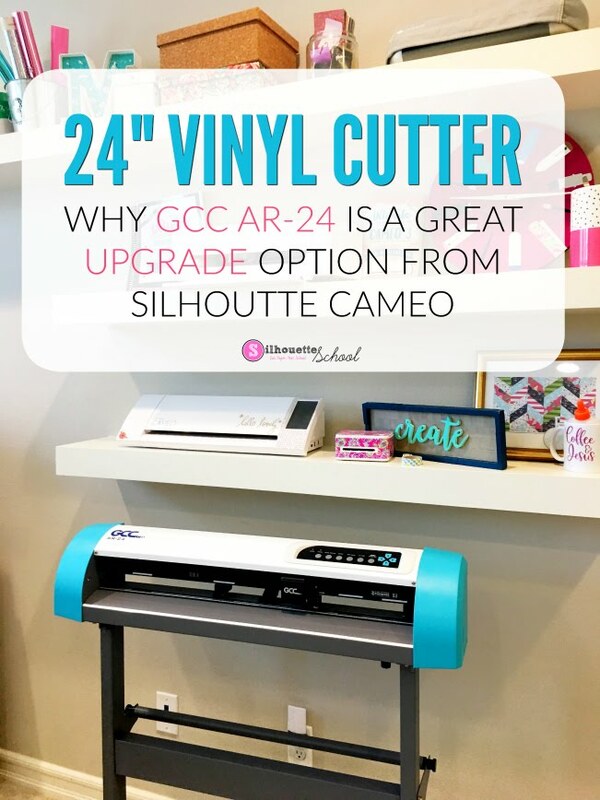 At this point, with Silhouette America having not announced if they will ever do a larger cutter, I think the GCC AR-24 is a good option for Silhouette CAMEO users who are in need of a larger machine to take their Silhouette business to the next level. 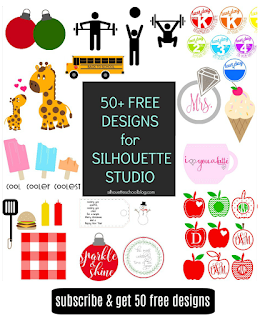 The affordable price, the ability to complete about 90% of the process in Silhouette Studio, the use of SVGs, and the larger cutter area are what sell me on it. I will be sharing tutorials on how to use the GCC AR-24 and SCAL with Silhouette Studio in an upcoming series of tutorials on Silhouette School Blog so make sure you sign up to get our emails so you don't miss anything!